Supporting ALL types of media: Hard Drive, CD, DVD, BD (Blu Ray), HD DVD, Memory stick, Floppy, USB, SD, SSM, MMC, Zip Drive, Jaz Drive, etc. 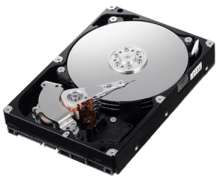 IsoBuster has been designed to recover data from all possible Hard Drives, including devices that behave like Hard Drives but are really Solid State Memory, such as SSD Drives. What if a partition is suddenly not found anymore by the Operation System? IsoBuster doesn't use Windows to determine where the partitions are, instead it reads the sectors by itself, it can find partitions that Windows can't. So even when Windows doesn't see partitions on a drive, IsoBuster may very well be able to find all partitions and show you the data that is located in them. Aside from the common DOS/Windows Partitions, IsoBuster also fully supports EFI or GUID Partitions, it can find partitions that older OS can't find, for instance if you swap hard drives or downgrade the operating system. Mac / HFS partitions are also supported. A drive that was formatted on a Mac can hence be investigated on a Windows PC, to find the partitions and files, even if the files are Mac style files in the HFS file system. Last but not least, IsoBuster also finds and recovers deleted files for you, for instance on a FAT file system the deleted files are shown immediately. Furthermore are there very advanced drive scraping functions that scan the entire hard drive for all possible files, using a range of detection techniques, such as recognition based on file signatures.